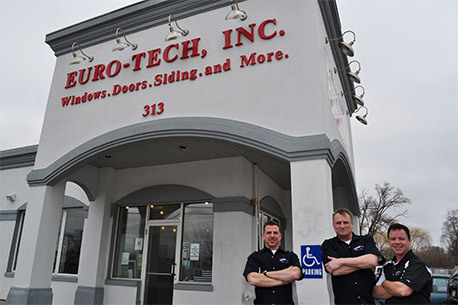 When it comes to installing replacement windows, siding, roofing, entry doors, and completing other home exterior projects, there aren’t many contractors that have as much industry expertise as Euro-Tech. Since 1992, we’ve served residents in the suburbs of Rockford and Chicago, Illinois, Milwaukee, Wisconsin, and neighboring areas in the Midwest. Having tended to more than 20,000 homeowners in total, a large percentage of which have returned as repeat customers, our portfolio is indicative of our extensive knowledge in remodeling and improving home exteriors, and our dedication to earning our customers’ satisfaction. Another way in which we differ from our competition is by offering technologically advanced products at affordable prices. Take our vinyl replacement windows as an example. Not only is vinyl a lower-maintenance material compared to wood and aluminum, but our vinyl windows also provide exceptional energy efficiency, which is essential for homeowners in Chicagoland, IL, and surrounding Midwest cities. Euro-Tech’s specialty vinyl windows are even more advanced than standard models, as they come packaged with enhanced energy-saving features, such as insulated frames, insulated glass, and optional low-E coatings. Moreover, every aspect of our vinyl windows is customizable – frame color and finish, grids, and glass – so whatever style of replacement windows you have in mind, you’ll surely find what you’re looking for at Euro-Tech. And here’s the best part – our vinyl windows are backed by a tremendous non-prorated, fully transferable lifetime warranty, so you can be sure that your investment will remain protected. This dedication to providing superior products permeates our business. The siding that we offer, as another example, is an exclusive line made just for us by Crane, an industry-leading house siding manufacturer. Much like our replacement windows, our composite siding is chock-full of energy-saving features, has low-maintenance requirements, is available in several colors and finishes, and is offered with a lifetime warranty. Whether you need us to add new roofing, soffit and fascia, attic insulation, seamless gutters and gutter protection, an entry door system, or complete any other exterior home remodel, you can count on Euro-Tech to help you develop a lasting solution with customizable products. Euro-Tech, Inc. – Your Best Value in Remodeling! At Euro-Tech, we understand that it takes more than just providing superior products to earn a satisfied customer. That’s why we put equal effort into “wowing” the customers that we have. Out of all the window replacement contractors, roofing companies, siding companies, entry door installers, and other home exterior remodelers offering service throughout the suburbs of Chicago, IL, and other nearby cities in the Midwest, we strive to be the one that provides the very best in customer service. 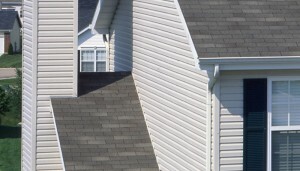 Whether you need window replacement, roof replacement, insulated siding installation, attic insulation installation, soffit, fascia and gutter repair, or another service, we’ll always start with a free consultation. During our initial meeting, we’ll discuss the products that we offer in detail and provide you with a free quote for the project in question. When it comes time for the installation, you can count on Euro-Tech to be professional from start to finish. We use an experienced crew of technicians that is factory trained and certified to install our products, so you can rest assured that your project will be in trusted hands. Moreover, we take into consideration that our workspace is your home, and we’ll go the extra mile to ensure that it remains clean and uncluttered. 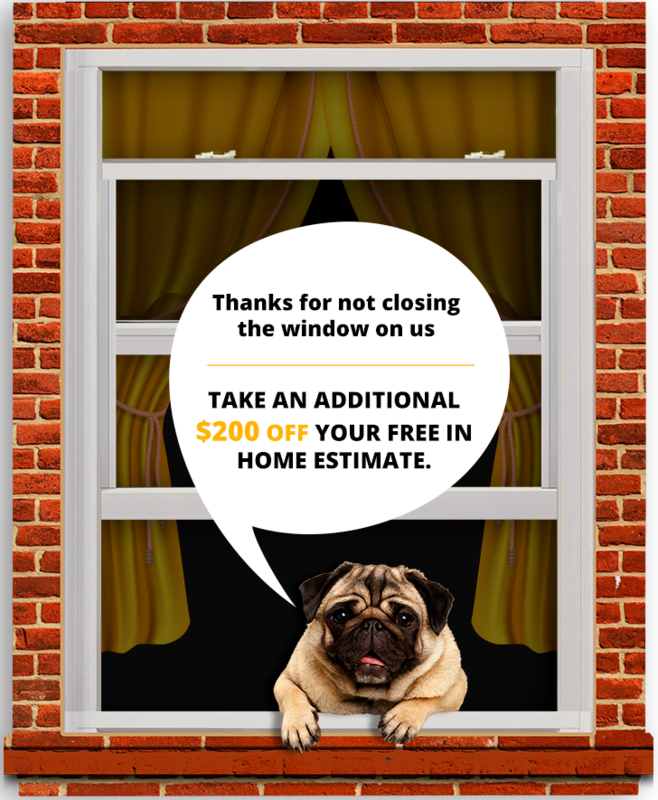 If you’d like more information about our replacement windows, roofing systems, house siding, entry doors, or other outstanding exterior home improvement products, contact Euro-Tech today to schedule your free at-home consultation. Be sure to ask about the financing options we have available for qualified homeowners throughout Chicagoland and Rockford, IL, Milwaukee, WI, and other surrounding cities in the Midwest.